It's clean and responsive, meaning your art will adapt to and look its best on tablets, phones, and desktops. 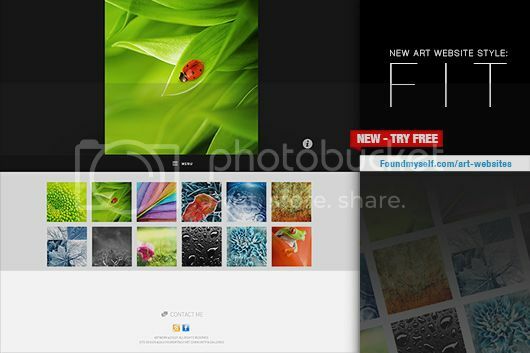 If you don't already know, Reach websites take images and info from your free Foundmyself art gallery and gracefully turn them into a standalone dot-com website. I've also reset everyone's trial status, so if you want to do the free one-week trial again, you can. Great news! I'm heading over to check it out. Thanks! Thanks you guys - let me know what you think. I am trying it out right now, and so far it has a good feel to it, I like the info button feature and the way the menu is centered.